A part of the European Commission is investigating a decision by the Met Office to appoint an IBM executive as CIO while he worked at the same time for IBM, the organisation’s main IT supplier. The investigation was prompted by concerns of campaigner Dave Orr who wrote to the EC about the Met Office’s appointment of an IBM secondee David Young as CIO for two years between 2010 and December 2012. Now Michel Barnier, the EC Commissioner responsible for internal market and services, says in a letter to Orr’s MEP Sir Graham Watson that the EC’s Directorate-General for Internal Market and Financial Services has been carrying out “an in-depth analysis” of the facts presented by Orr. As part of this, the EC has written to the UK government seeking clarification on a number of points. Some of Orr’s concerns arise from the Met Office’s responses – and non-responses – to his freedom of information requests. One of his concerns is of a potentially cosy relationship between the Met Office as a publicly-funded organisation and its principal IT supplier IBM; and he has wanted to know why the job of Met Office CIO was not openly advertised in a competitive recruitment process and whether its appointment of an IBM secondee had the potential for a possible conflict of interest. Orr said that the secondment had the potential to confer a unique and significant intelligence and relationship advantage for IBM that other supercomputer suppliers could not hope to match. “In my view, that is anti-competitive and may in spirit at least, fail the EU procurement rules,” said Orr. Barnier said that the existence of a conflict of interest would “depend on a number of factors such as the precise role and responsibilities the position entails, in particular whether it includes formulating and preparing technical specifications or tender documents for future IT contracts that the Met Office may put out to tender”. It is also relevant, said Barnier, whether the terms and conditions of the secondment “impose any obligations or restrictions on the head of the department to prevent conflicts of interest, both during the secondment and afterwards”. He also wanted to know if internal rules were in place to prevent conflicts of interest in the course of tendering procedures. The decision to second an IBM employee to run the 300-strong IT department, which is based at the Met Office’s supercomputer site in Exeter, raises questions that may go beyond the potential for a conflict of interest. As Young was unable to be involved in some buying decisions and was unable to attend the technology strategy board to avoid any potential for a conflict of interest, did the Met Office restrict itself unnecessarily in hiring a CIO who faced these constraints? Did the Met Office waste money – and a precious two years – hiring a lifeguard whose terms of employment required him to wear handcuffs? The secondment of Young came at a difficult time for the Met Office – and some of the main difficulties it faced in 2010 are largely the same today. – A need for modernised software that will take advantage of next-generation supercomputers. – A need for a replacement supercomputer that has twice the power of the existing one which operates close to one petaflop (one thousand million million floating point operations per second). – Funding a new supercomputer (with optimised software) at a time of cut-backs in government spending. A Met Office Executive Board paper said that its executives have had “soft” negotiations with various suppliers about next generation supercomputer technology. They spoke to Bull, Cray, Microsoft, NEC and SGI. “Vendor presentations indicate that performance increases will come from increasing the number of processors and/or adding co processors designed to process arrays of data efficiently, rather than increasing the speed of individual processors,” said the Met Office paper. The Met Office says that “significant optimisation work will be needed [on the code] and, if this is not completed around 2014, a delay in the launch of the procurement may be unavoidable.” It has been seeking software engineers with experience of Fortran (which was originally developed by IBM) or C, Unix or Linux and Perl. The Met Office declined to answer Orr’s FOI requests about the cost to the taxpayer of employing Young. Since Young’s secondment ended in December 2012 the Met Office has hired one of its own employees as CIO. Charles Ewen has worked for the Met Office since 2008. He works with science teams to operate the Met Office’s high performance computing facilities. He is responsible for the development and implementation of the Met Office’s ICT Strategy and for the internal technical teams within the Technology Information Services Directorate. The Met Office hired Young for the best of reasons: after a succession of internal management changes it wanted a highly professional, stabilising CIO. But did it need a CIO from IBM, its principal IT supplier? That the Met Office was sheepish about the appointment of an IBM secondee was, perhaps, revealed by its website which, in giving a profile of Young, did not mention – at first – that he was seconded from IBM. After Dave Orr’s FOI requests the Met Office corrected its website omission, making clear that Young was on secondment from IBM. The Met Office has been in existence nearly 16o years. It was founded by Vice-Admiral Robert FitzRoy in 1854 as the Meteorological Department of the Board of Trade. It is highly regarded internationally. A testament to the quality of its computer models – which are used for daily forecasts – is that its “Unified Model” is licensed in Norway, Australia, South Korea, South Africa, India, New Zealand and the US Air Force. Scientists say that a three-day forecast today is as accurate as a one-day forecast was 20 years ago. But in the UK the Met Office gets a bad press – not always unjustifiably. There is a perception that the accuracy of forecasting is not improving. Sometimes it seems poor. The algorithms that form the basis of weather and climate models place huge demands on supercomputing architectures. The models produce exceptionally large volumes of data. Although the Met Office had a new IBM supercomputer in 2008 it soon needed more powerful hardware and modernised software. So was it a good idea, with all the challenges the Met Office faced in 2010 – including the need to persuade the government of the need to fund new supercomputer facilities – to appoint a CIO for two years who, because he was an IBM secondee, had understandable restrictions on his freedom to do his job, restrictions the Met Office has been reluctant to reveal, despite Dave Orr’s FOI requests? The Met Office may regard an EC inquiry into its appointment of an IBM secondee as the last thing it needs now. But accountability should not be left to the occasional scrutiny by a Commons committee – or to Dave Orr’s FOI requests. Why isn’t Universal Credit IT a disaster yet? 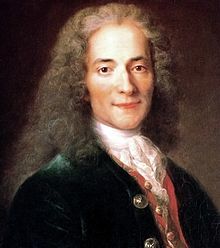 Voltaire said those who walk well-trodden paths tend to throw stones at those who show a new road. Iain Duncan Smith has had nothing but criticism in the media for his extreme caution over the go-live yesterday of the innovative Universal Credit scheme. But he told Radio 4’s Today presenter Justin Webb he was learning from the NHS IT scheme and the implementation of tax credits. Justin Webb: But your critics say you are not testing the things that could go wrong – children and homeless people are not involved. When are you going to involve them in a pilot? IDS: They are all going to be involved as we roll out. Webb: There will be a pilot that includes those more difficult groups? Webb: No homeless people involved in that. The difficult people are not involved? IDS: What we are doing is testing the basic process. As we roll out from October onwards we then complicate the process and we roll it out in such a way as we are able to bring those people in and ensure that we also test them as we are going through. It’s a perpetual process of rolling out and checking, rolling out and checking. That is the better way to do it. I have done this in the private sector and Lord Freud [work and pensions minister] did this in the banking sector. We have insisted on it because this is the right way to do it. Get it right. Not get it early. Can IDS be too cautious? Universal Credit is live on GOV.UK. To claim it now you need to live in an OL6, OL7, M43 or SK16 postcode, have just become unemployed, fit for work, have no children, not be claiming disability benefits, not have any caring responsibilities, not be homeless or living in temporary accommodation, and have a valid bank account and national insurance number. But still it’s a test of links between UC and HMRC’s RTI systems. If the links are working properly the systems should verify that the new UC claimant has recently left PAYE employment. The pilot in Ashton is also a test of the UC payment system and whether the new scheme will encourage claimants to find a job and stay in work longer. On Sunday, on BBC Radio 5’s Double Take, I praised the Department of Work and Pensions for an ultra-cautious approach in going live with UC. But IT consultant Brian Wernham, author of Agile Project Management for Government, pointed out to BBC’s World This Weekend that thousands of people will need to claim UC every day from the official start of the scheme in October 2013 to the end of 2017 if the DWP is to complete its UC roll-out within the coalition’s promised schedule. Yet the limited pilot in Ashton has restricted claimants to about 300 a month. At this rate the roll-out to more than eight million claimants will not be anywhere near complete by the end of 2017. The Financial Times quotes Iain Duncan Smith as saying that one million claimants would be receiving universal credit by the end of April 2014. This is now unlikely if not impossible. Even in October when the UC roll-out begins nationally, it will start with simple cases. By April 2014 it is hard to see that there will be 100,000 people claiming UC, let alone one million. Indeed the most complex cases may be handled outside of the main UC system, possibly manually or on a spreadsheet. Why should the coalition care if the 2017 deadline is not met? A general election on 7 May 2015 means that UC will become the responsibility of a new government. IDS is then unlikely to be the DWP’s secretary of state. He could argue at that time that he should not be held responsible for any delays in the roll-out. Indeed the Tories could be out of government by then. So what the coalition says now about UC’s future means little or nothing. That said, the coalition seems to be learning lessons from past IT-related failures. It deserves praise for its extreme caution over the introduction of UC. It is not doing everything right: the DWP is refusing to publish any of its expensive consultancy reports on the progress of the UC IT systems. Partly that is because of DWP culture and because shadow ministers are waiting to jump on any putative weakness in the UC scheme. Labour’s shadow work and pensions secretary Liam Byrne said on yesterday’s Today programme that universal credit was “a fine idea that builds on Labour’s tax credits revolution”. But when Byrne was in government he was an unswerving advocate of the disastrous NPfIT. So can his criticism of the UC project be trusted now? Despite a generally negative media there are no signs yet that UC is a disaster in the making. Indeed RTI is working so far, which was the biggest single risk. Cabinet Office minister Francis Maude is said to remain concerned that UC could prove an electoral disaster, and his concern is good for the UC IT project. It means the coalition will continue to roll out UC with extreme caution. Such a play-it-safe approach might never have occurred before on a major government IT project. So does it matter that UC takes years to roll out? Perhaps the roll-out may continue well beyond 2017 but it’s better to complete a simplification of the benefits system over an extended time than pay claimants the wrong amounts or leave the vulnerable without payment altogether. The vultures circle over Universal Credit IT. DWP hides the facts on UC IT progress. 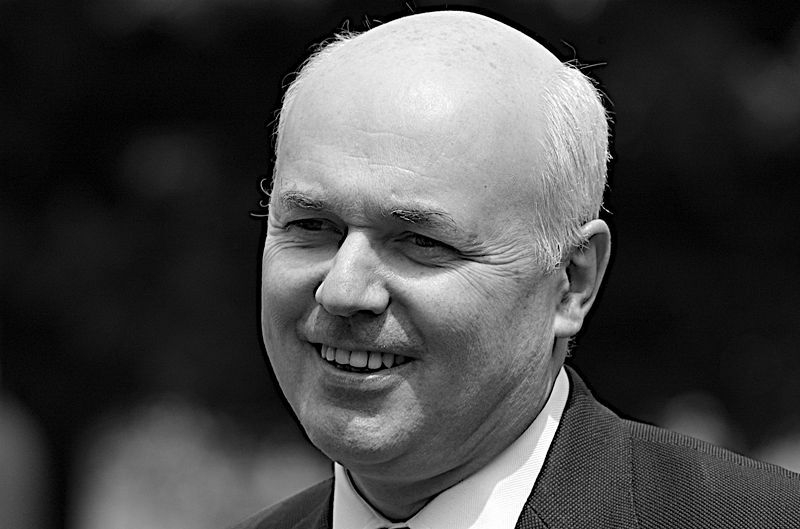 Are civil servants misleading IDS over Universal Credit IT progress? The Cabinet Office has denied it is operating a blacklist of poorly-performing suppliers – but says that suppliers deemed high risk may find it “more difficult to secure new work with HMG”. In its statements to Kable’s Government Computing, the Cabinet Office also made it clear that suppliers deemed high risk can redeem themselves. This suggests that Fujitsu would no longer be deemed high risk if it settled its dispute with the government over the NPfIT. Fujitsu has been seeking £700m after the failure of its NPfIT contract. A settlement has proved elusive and the case may go to court. The FT said on Tuesday that Fujitsu has “in essence” been blacklisted. Neither Fujitsu nor the Cabinet Office are denying that Fujitsu has been put in the high-risk classification. “We cannot comment on the status of individual suppliers, but we are absolutely clear that this Government will not tolerate poor supplier performance. “We want to strengthen our contract management by reporting on suppliers’ performance against criteria and sharing the information across Government. This means that information on a supplier’s performance will be available and taken into consideration at the start of and during the procurement process (pre-contract). Suppliers with poor performance may therefore find it more difficult to secure new work with HMG. “This policy will include the identification of any high-risk suppliers so that performance issues are properly taken into account before any new contracts are given. “High-risk classification is based on material performance concerns. Suppliers deemed high risk will be subject to particularly close scrutiny when awarding new work. The spokesman said that contract extensions are within scope of the poor-performance policy but will be tackled in a proportional way – depending on the overall cost of the contract, the relative cost of extending it, and how critical the extension is. The high-risk classification “applies to strategic suppliers who do business across Government, and is not limited to any specific sector”. Frameworks are also included. “Our performance policy will apply to central government departments, where we have direct control of spending,” said the spokesman. But it is still unclear what direct control the Cabinet Office has of departmental spending. That said, the Cabinet Office announced in June spending controls on central government that “allow government to act strategically in a way it never could before”. It added that there were “strict controls on ICT expenditure”. That means that large ICT contracts to be awarded by departments must go to the Cabinet Office for approval; and the Cabinet Office has introduced a single point of contact for major suppliers, which means that the performance of strategic suppliers will be viewed in the round. In the past suppliers have been able to tell departments that were about to award contracts that rumours of alleged poor performance in other departments were incorrect. While not a blacklist the high-risk classification seems a good idea. Francis Maude, the Cabinet Office minister, is sending a message to suppliers that if they take legal action against a department it could stop them getting business across Whitehall. But he’s also saying in effect: settle and we’ll remove you from the high-risk list. Is there a danger that the power could swing too much in the government’s favour, allowing departments to poorly manage contracts with impunity? Probably not. Suppliers will have to take the high-risk list into account when signing deals. They know that, in the insurance industry for example, if they mess up one contract word will soon get around. Fujitsu banned from goovernment contracts? Francis Maude, the Cabinet Office minister, has agreed mechanisms for officials to identify high-risk suppliers where “material and substantial underperformance is evident”. On his blog Spend Matters, Peter Smith has published parts of a letter from Maude. Where under-performing suppliers are identified “departments will be asked to engage with the Cabinet Office at each stage of any procurement process involving the affected supplier to ensure that performance concerns are taken fully into account before proceeding”. The implication is that the Cabinet Office will draw up a blacklist of bad suppliers which departments will take account of when buying. Smith says that two suppliers are already on the blacklist. For more than 20 years the trade press has identified the same suppliers in a succession of failed or failing IT-based projects but poor performance has never been taken seriously into account. This is usually because the suppliers argue that the media and/or Parliament has got it all wrong. Departments, it appears, will always prefer a potential supplier’s version to whatever is said in the media or in Parliament. The Office of Government Commerce, now part of the Cabinet Office, kept intelligence information on suppliers but it seems to have made no difference in procurements. It is unlikely the Cabinet Office’s blacklist will rule out any suppliers from a shortlist. As Smith says, suppliers will claim that any problem was all the fault of ministers or civil servants who kept changing their minds, were not around to make key decisions, or didn’t understand the nature of the work. But still the blacklist is a worthwhile innovation. At least one big IT supplier has made a habit of threatening to withdraw from existing assignments when officials have refused to revise terms, prices or length of contract. The blacklist will strengthen the negotiating hand of officials. The challenge for Maude will be persuading departments to take the blacklist idea seriously. IT teams in cash-strapped councils are being given a helping hand to drive new IT projects where teams believe technology innovation could drive positive change in local communities. It follows the launch of a Future Fund created by mobile telecomms company O2 to help forward-thinking councils get to grips with new methods of engaging their staff, citizens and communities. Successful local authorities applying for the scheme will be awarded access to O2 consultancy time, services and technology to help them turn their project ideas into reality. The Future Fund open for applications on 25th April with three grant funding packages available to the value of £125,000, £75,000 and £50,000. 60 councils attended the launch event with the scheme focused on authorities developing ideas and services against three broad themes: reducing cost and improving efficiencies; finding new ways of engaging with citizens; and empowering the community to do more for itself. Each of the topics points to more effective service delivery, by empowering staff or by expanding the concept of ‘self-service’. To support the Fund’s launch, O2 plans to showcase 17 different parts of its business, each with their own unique slant on the digital age, from established technologies such as wi-fi to ‘people’ skills, social media expertise, mobile advertising and location-based services, as well as business engagement and apps development. Councils will be able to pick which selection of services to use to build their idea and weave into their bid. O2 says it has created the Future Fund through its Local Government Futures Forum, which aims to understand what the role of IT should be in modernising councils in challenging times. It argues that as technology advances at a rapid pace, with people creating and consuming data in more diverse and immediate ways, councils face a challenge to use these channels to demonstrate communications nous and find new ways to engage with their communities. A recent consultation exercise found that budget cuts across the public sector have resulted in an expected automatic squeeze on resources, with mounting pressure across all departments to operate more efficiently and do more with less. With ongoing pressure to reduce spending, council decision-makers are opting for solutions that make an immediate impact – cutting services, and in turn cost – rather than looking at ways of adapting them, with IT departments facing an uphill struggle to retain and control their destinies, often competing for de-centralised budgets across multiple teams with no place or input at a board level. Ben Dowd, Director of Business at O2 says: “O2 believes that the right application of technology has the potential to drive real change. Our findings through our work with local government IT departments support this belief. What is different is that the Future Fund will give a glimpse of what is possible with a bit of imagination and we will support the winning bids by providing investment in their IT infrastructure coupled with resource and expertise. Applications for the Fund will be judged by a panel of experts from O2 and independent parties. Councils will then have eight weeks to develop and deliver their ideas, before selection takes place later this year.